Aviation Updates Philippines - National flag carrier Philippine Airlines is 'temporarily' suspending flights between Cebu and Los Angeles by the end of May as the airline rationalizes the capacity on the route. PR flight 152/153 operates every Tuesday, Thursday and Saturday using the 254-seat bi-class Airbus A340-300 aircraft. The route was launched on March 15, 2016 coinciding the airline's 75th founding anniversary. "PAL is the only Philippine carrier operating flights to the United States. It continues to operate 25 flights per week between Manila and the US Mainland - twice daily to Los Angeles, daily to San Francisco and four times - a - week to New York. PAL also operates daily to Guam and five times - a - week to Honolulu," the airline said in a press release. 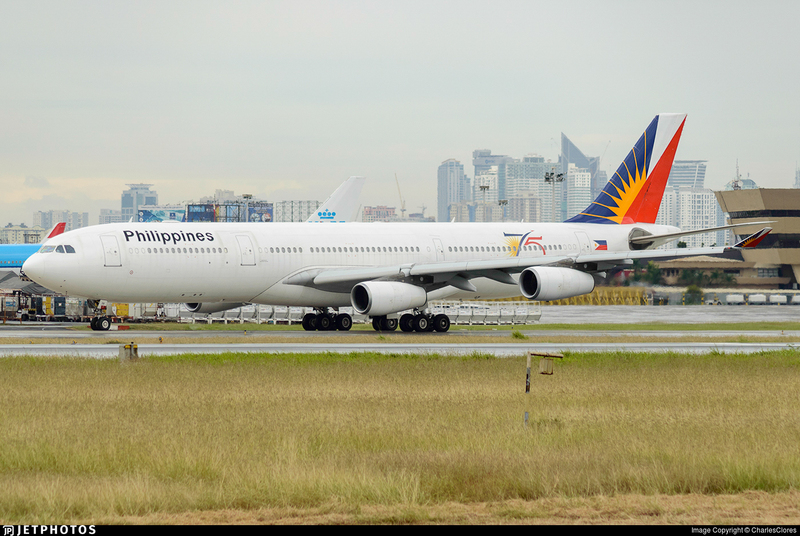 However, PAL has been mounting more flights between Manila and Los Angeles utilizing its more modern Boeing 777-300ER aircraft. Passengers have the flexibility to choose between morning or evening flights. Affected passengers (from May 30 and onwards) may re-route their Cebu-Los Angeles v.v flights to Cebu-Manila-Los Angeles v.v flights. The flag carrier is also offering to refund the cost of their tickets. According to the airiline, "affected passengers are advised to avail of any of these options within 30 days from original flight dates, with rebooking/refunding charges waived. PAL will also communicate with affected passengers via email notification and call-out." For more information, passengers may call PAL Hotline (02) 855- 8888 or the Cebu Calling Number (032) 340 -0191, log on to www.philippineairlines.com or visit the nearest PAL ticketing office or partner travel agent.